HyperVibe is company devoted to Whole Body Vibration. Our team is made up of health experts, fitness enthusiasts, and technical professionals based on the Sunshine Coast, Queensland, Australia. Many years researching, developing, and training with Whole Body Vibration machines made it clear that like other areas of the Wellness industry, the Whole Body Vibration market has its fair share of misinformation, dishonest marketing and inflated prices. Our aim is to provide consumers with the most affordable, highest value for money Whole Body Vibration platforms possible whilst only making claims we can support and being honest in our marketing. Our machines deliver a whopping 17G’s of G-force at 28Hz, figures that have been confirmed by independent testing on numerous occasions. This far out-performs our leading competitors machines which cost upwards of seven times as much. What’s more, we back our products with a generous warranty and nation-wide after-sales support to give you piece of mind. 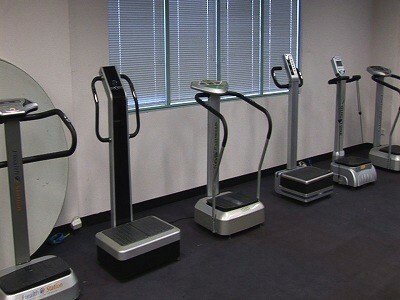 Proof of Hypervibe’s devotion to Whole Body Vibration is the collection of machines owned by Hypervibe’s founder Murray Seaton; to date, over 40 machines and growing. Why spend so much money on machines he knows to be not worth the money? Realising that the deceptive claims and dishonest marketing used by competitors was not only taking clients away from Hypervibe, it was giving the industry a bad reputation, Murray set out to get independent proof that the competitors machines fail to live up to their own claims and fail to match Hypervibe’s reliability, performance and output. So far we’re proud to say only one of those 40+ machines has been able to match Hypervibe’s high output but with that competitors price tag of around $20,000 we feel confident you’re getting the best possible value for money by choosing a Hypervibe machine. For more about the independent testing used to confirm the real output of all those machines get the free report.